Awarded an RNCM Gold Medal (2011), winner of the Concerto auditions at the RNCM (2010), William Mathias Festival Piano Competition (2009), Beethoven Junior Inter-Collegiate UK Competition (2008) and European Piano Teachers Association UK Piano Competition (2007), Julian is fast emerging as an astounding pianist. Julian Clef’s achievements are all the more impressive when you consider that he had no formal piano tuition until he was sixteen years old. Born in the state of Kerala, India, Julian was spotted by UK resident Mrs. Linda John who was taken by his exceptional talent and has provided remarkable support ever since. At sixteen, he commenced formal studies with Murray McLachlan at Chetham’s School of Music in Manchester and later went on to get a Bachelor of Music (Hons) degree from the Royal Northern College of Music. He studied with Dina Parakhina after that for a Masters degree from the RNCM and completed the course in 2014. He has had lessons and masterclasses from leading international pianists, including Bernard Roberts, Peter Donohoe, Noriko Ogawa, Yonty Solomon, Leon McCawley, Garrick Ohlsson, John Lill and Andras Schiff. 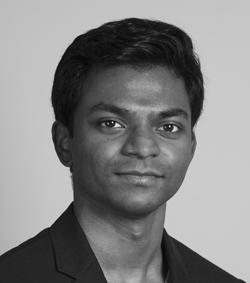 An active recitalist, Julian has performed in many venues in the UK and abroad, including Buckingham Palace in London, Leeds College of Music, St David’s Hall in Cardiff, NCPA in Mumbai and Dvorak Prague International Music Festival. Last year Julian gave two concerto performances in London appearing as a soloist in Beethoven’s Triple Concerto with the Philharmonia Orchestra at the Royal Festival Hall and Beethoven’s Piano Concerto No 1 with the Guildhall Symphony Orchestra at the Barbican. Julian was selected last year by Sir Andras Schiff to be part of Building Bridges series for young pianists in the 2015-16 season and gave recitals as part of that in Berlin, Brussels, Weimar and New York. Julian graduated from Guildhall Scholl of Music after studying with eminent pianists Martin Roscoe and Ronan O’Hora with an Artistic Diploma in July 2016. Upcoming engagements include performances in Manchester, Worksop, Germany and India.